After an inaugural year in 2017, Preschool (age 3 by 9/30/17) and Kindergarten (age 5 by 9/30/17) and First Grade classes started in the Fall of 2018. Over the next several years, the school intends to add one grade each year (2nd grade, 3rd grade, etc. ), ultimately accommodating students from preschool through 6th grade. Initially, classes are being held at Cincinnati Public Schools’ "Rising Stars Academy at Vine Street" at 2120 Vine Street. Tours of this building are held at 9 am on the 2nd Wednesday of each month. An RSVP is required, so please contact Principal Jaren Finney (513-363-6500) or email the CANS Advisory Group: cansadvisory@gmail.com. 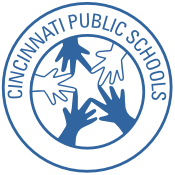 Cincinnati Public Schools is now preparing our permanent location in the former Clifton School building (3711 Clifton Ave). We anticipate the students will move into their freshly prepared building and grounds for the Fall 2019 school year.